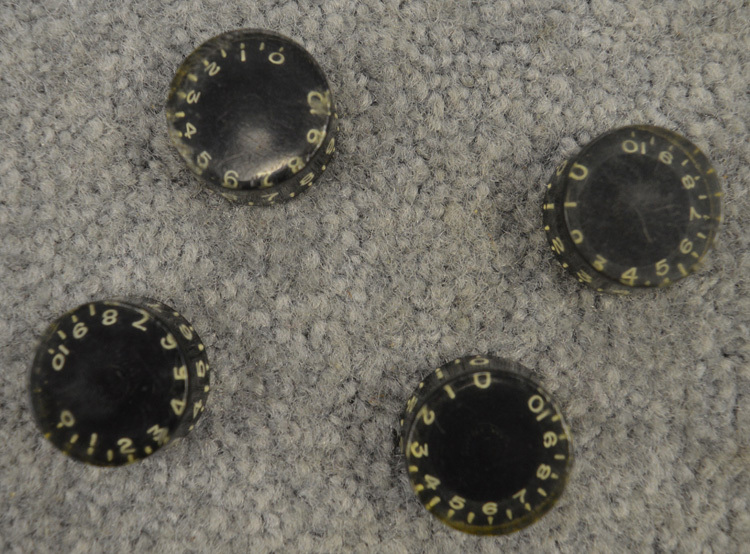 A set of 4 Gibson Speed knobs from 1976 in great shape. All of the knobs are clean with no major cracks or chips out of them. There is minor wear from use, but all of the numbers are clearly visible. 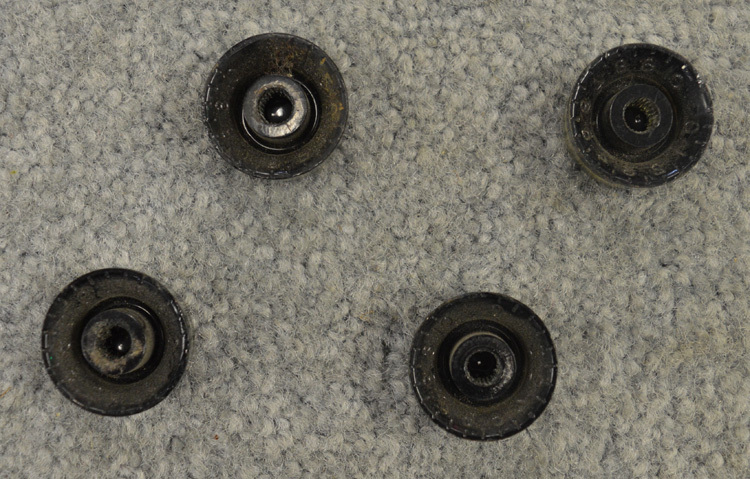 The bottoms of all of the knobs are undamaged and will install normally. Perfect for Les Pauls of the era and many others. Interested In This Speed Knobs? Did you purchase the Speed Knobs? Feel free to submit a review. Reviews will be posted pending submission review and approval.